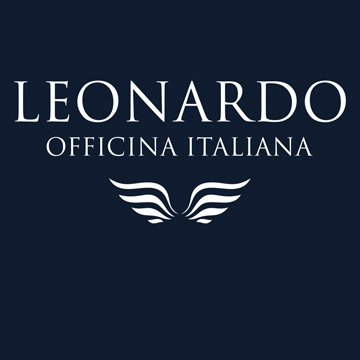 Leonardo Officina Italiana And the story goes on ... A family tradition. 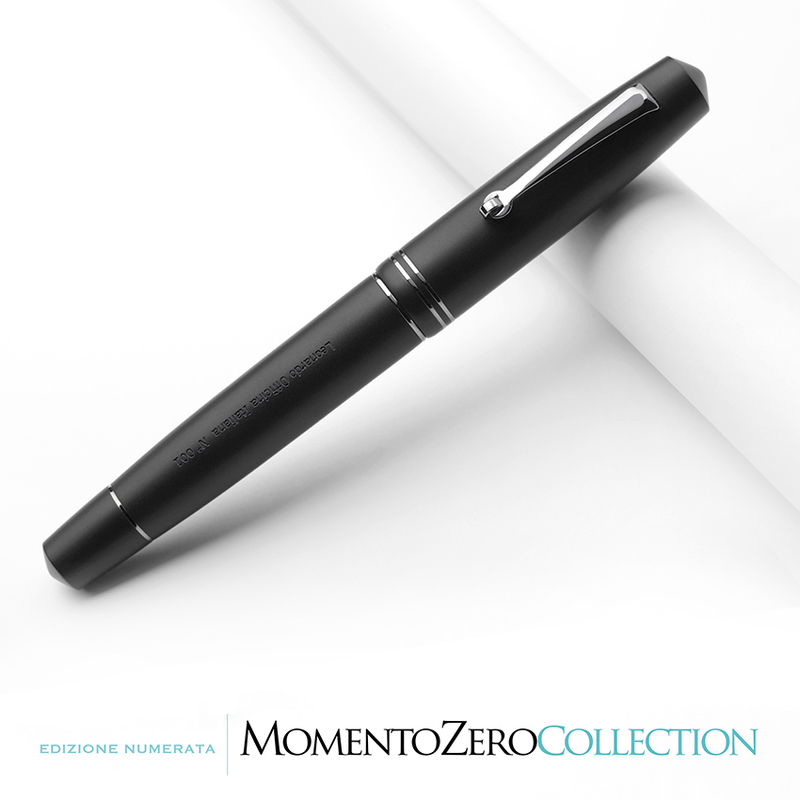 Momento Zero collection, A new beginning. Positivity, and the desire to start with great enthusiasm. Driven by passion and experience. Forty years with writing instruments. This is a collection inspired by the Italian vintage known in the world - well balanced in size and in metal details. 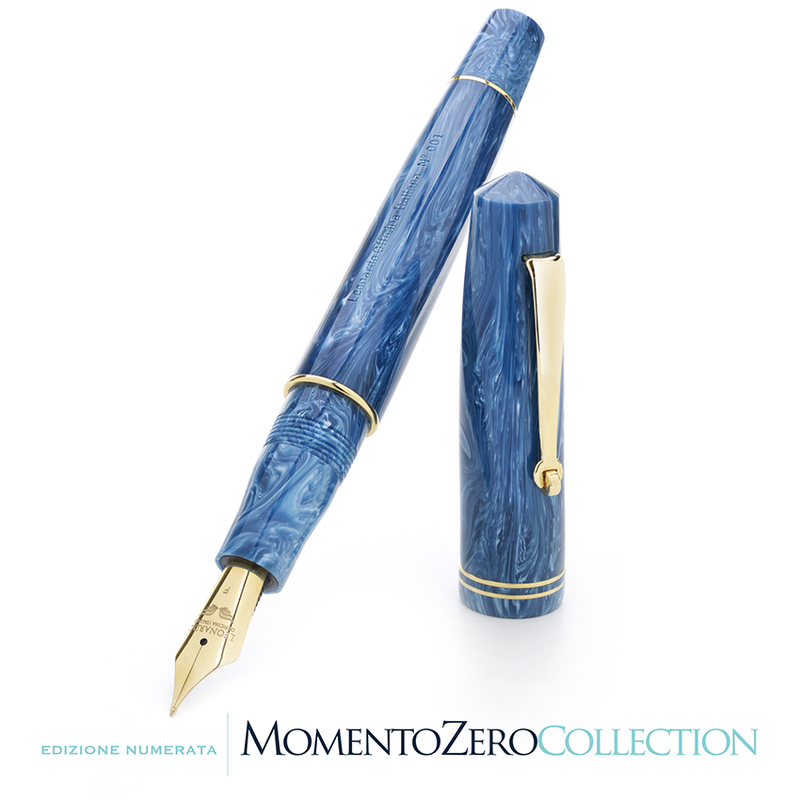 The numbered version is proposed using a special resin of horn color, Positano blue and matt black. The resin a solid bar, hand-turned. Filling system with custom converter (supplied). harmonic steel nib available in F, M and B gradations, ABS conductor. 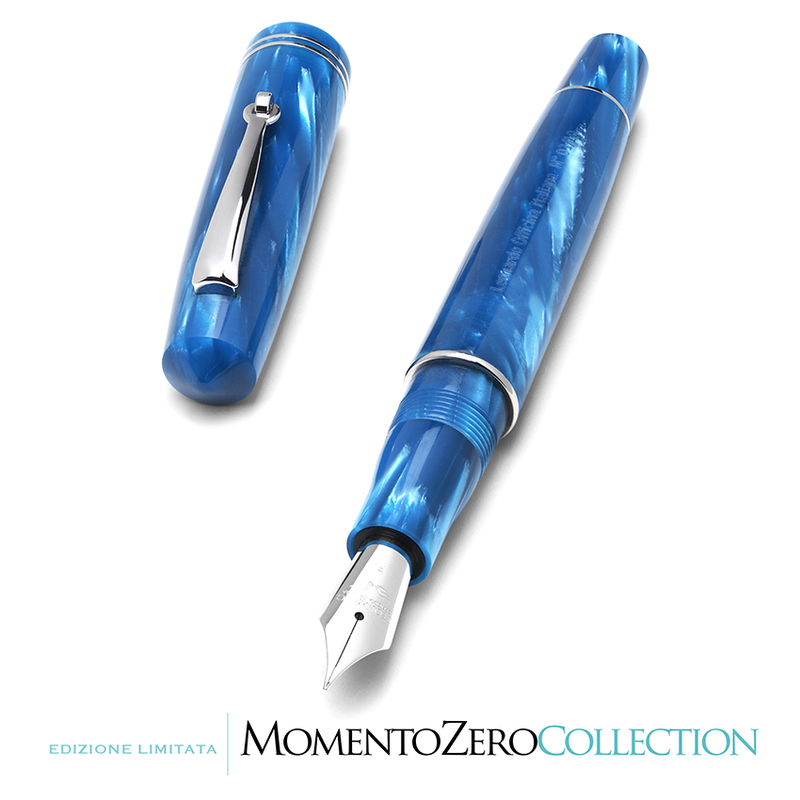 The limited version uses sought-after Italian celluloid, proposed in a small series, as special editions. 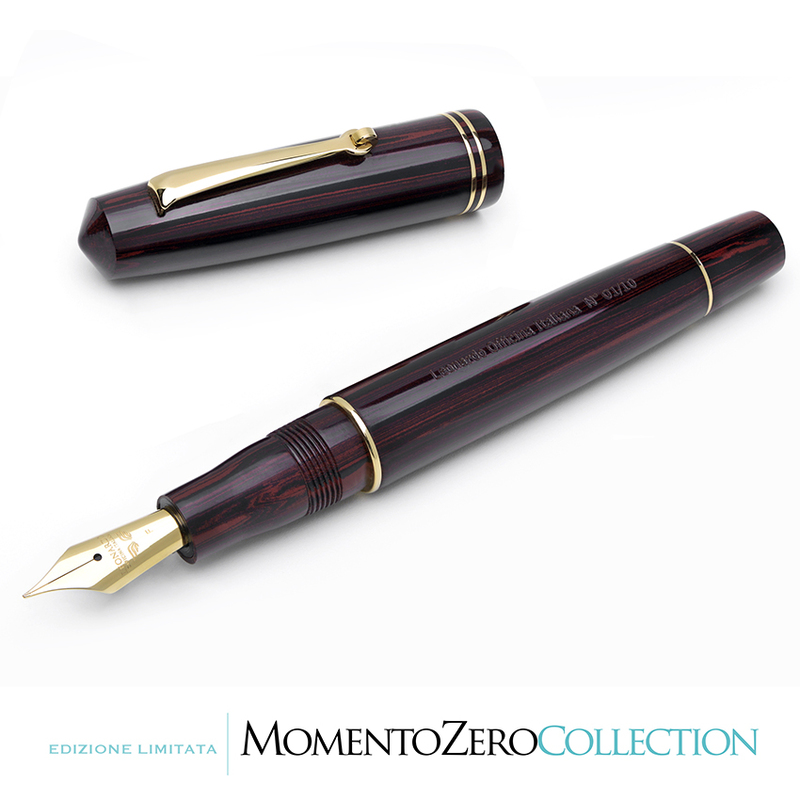 The limited version is also available in the Ebanite rosewood version. 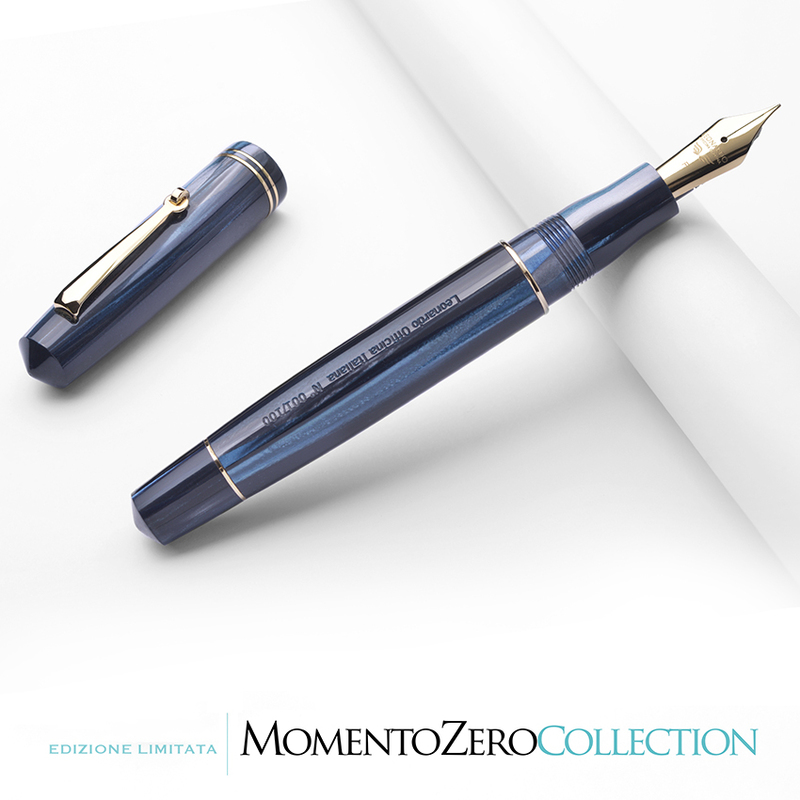 In addition to the refined and extremely rare celluloid, the liited edition fountain pens contain a "vintage" piston filling system, housed directly inside the body. The feeds are made from ebonite fitted with a semi-flexible 14kt gold nib. Nib gradations available in F, M and B (Extra Fine and Stub on request). 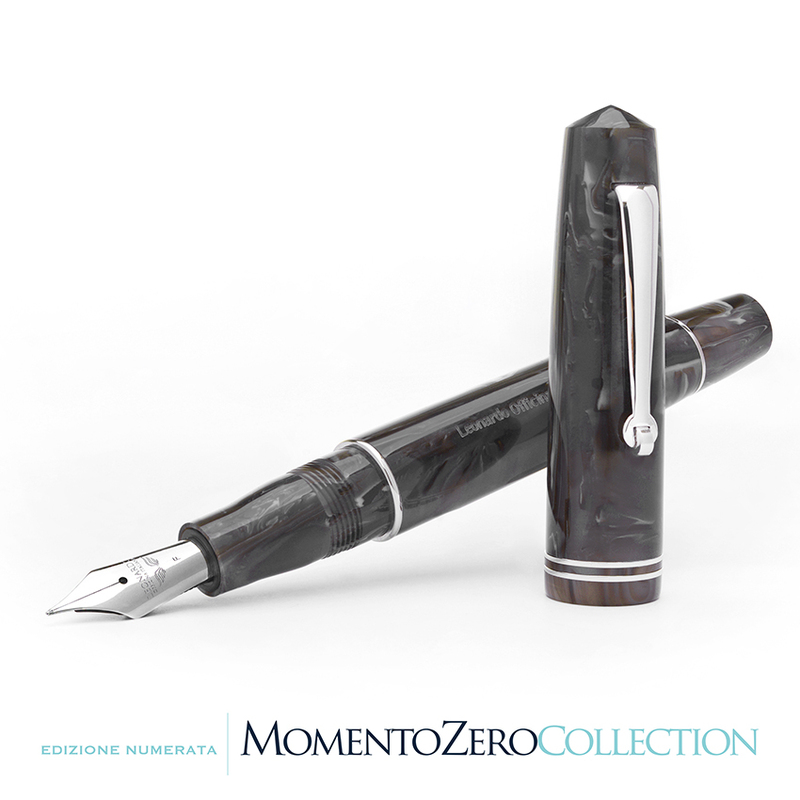 - Ebonite rosewood: 1/10 (golden metal parts). - Matt black resin (mirror polished metal, gun metal, ruthenium). Mini limited series. Body & Cap: celluloid. Fountain pen. 1/100, trimed with golden metal parts. Vintage piston fill. Gold nib. 690 Euros. Mini limited series. Body & Cap: celluloid. Fountain Pen. 1/10 (rhodium-plated white metal parts). Piston fill. Mini limited series. Body & Cap: Ebonite. Fountain pen. 1/10 (golden metal parts). Piston fill. Numbered series. Body & Cap: Horn effect resin (rhodium-plated white metal parts). 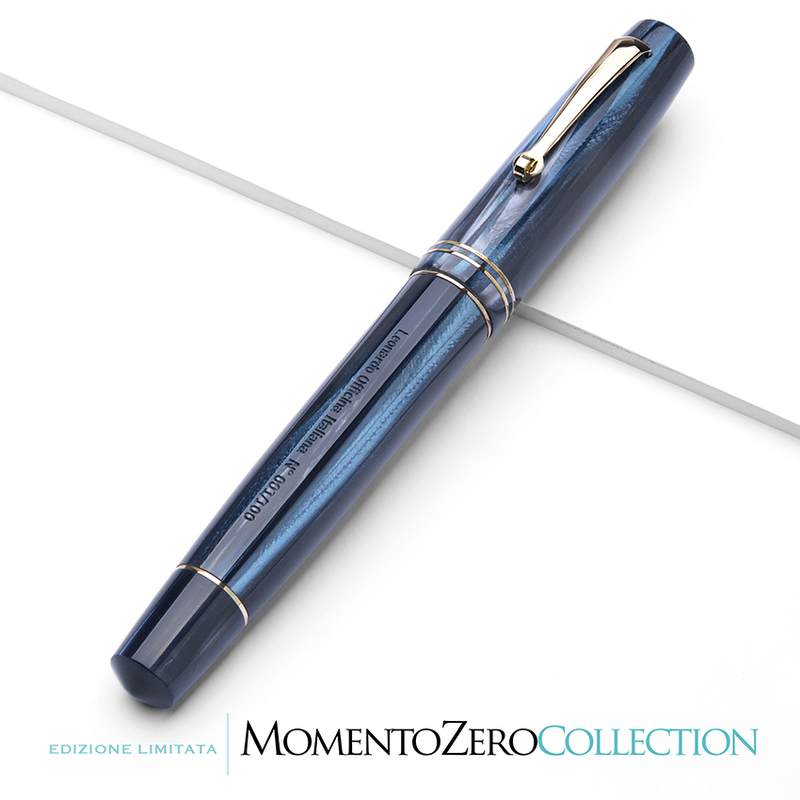 Available in fountain pen, roller, ball point. Numbered series. Body & Cap: Matt black resin (mirror polished metal, gun metal, ruthenium). Fountain pen. Numbered series. Body & Cap: blue resin (golden metal parts). 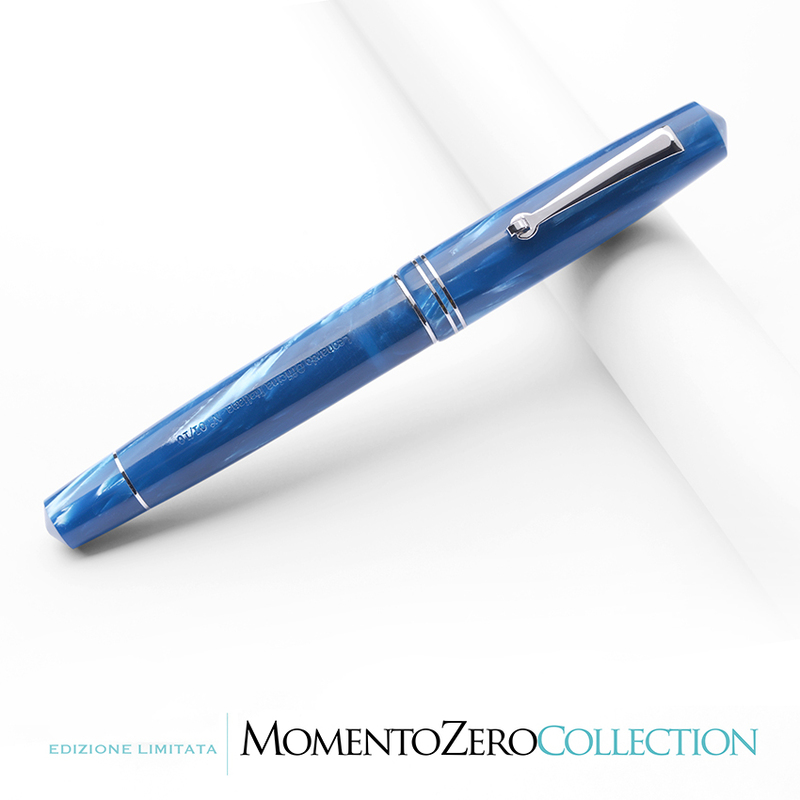 Available in fountain pen, roller, ball point.